Luke Temple will be visiting Short Wood on Monday 18th May, all of the pupils from Year 3 to 6 will experience Luke’s presentation. He will be introducing his latest ‘Felix Dashwood’ series. Please take a look at his website www.luketemple.co.uk. 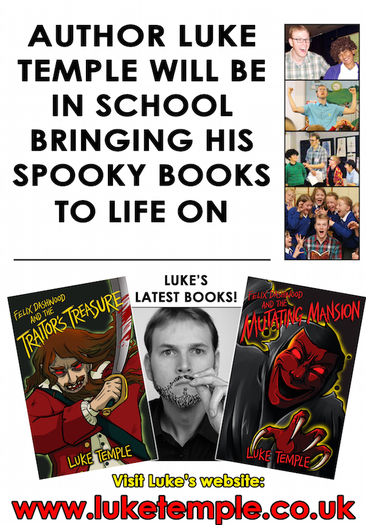 On Tuesday 19th Luke will return to school for a book signing so pupils will have the opportunity to buy a book and meet Luke.